Teach With Games Website has FREE Printable game samples, to see if learning with games is right for your child. 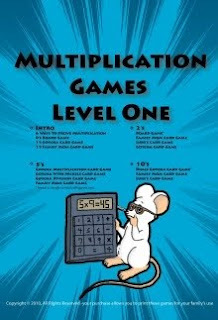 and TODAY, CurrClick is having a GIVE-AWAY of Multiplication Games, Level One for FREE! Just sign in and add it to your cart to download. By the way, if you don't know about Curr Click, it is a great website that has curriculum resources, a lot of them for FREE, just click the FREE STUFF LINK on the left-hand side of the page.